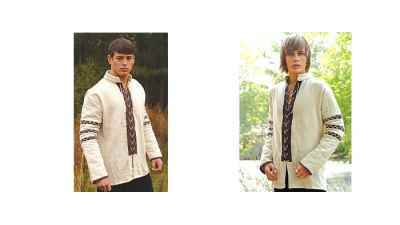 A great variety of Clothes for Weddings, Faire's or any Medieval, Middle Ages or Renaissance event. 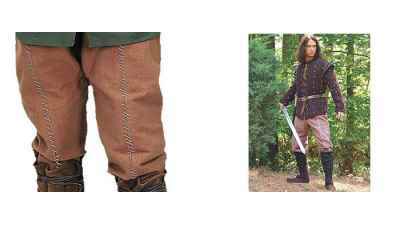 If you are planning a Middle Ages Wedding, A Renaissance Wedding, Scottish or Celtic Wedding there are several costumes available. 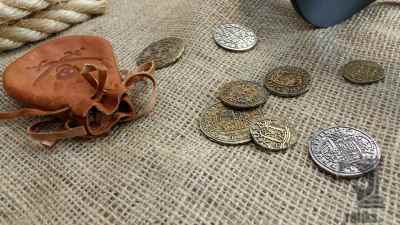 Getting dressed up for a Renaissance faire, Medieval faire or even Halloween we have several Rennaissance, Early Middle Ages clothes and High Middle Ages costumes and garb available. 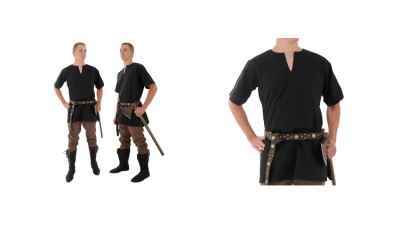 A great simple costume for any event! 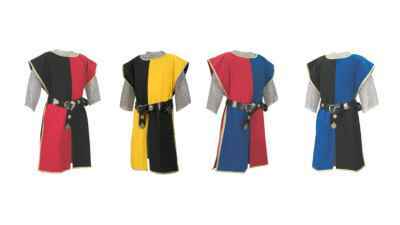 Our Medieval Tunic features typical Medieval styling and half sleeves in a large range of colours and sizes. The most difficult part of completing a costume is the footwear. 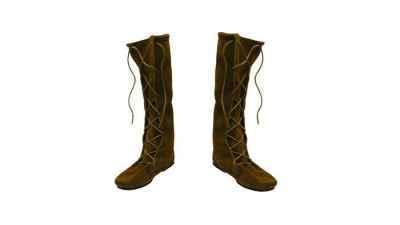 Don't forget your pair of Tabi socks if you are going to where your ninja tabi boots. 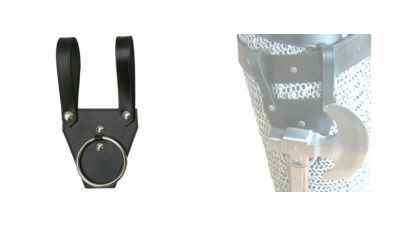 This axe, sword and dagger frog is hand crafted of durable, full grain leather replete with nickel plated, metal studs. Keep Yer Hands Off Me Booty Ya Scallywag! 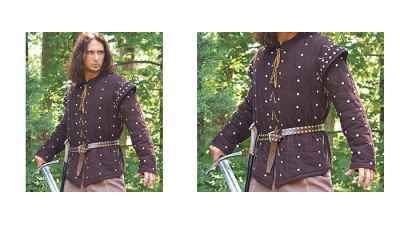 A lace-up cotton gambeson that can be worn as a stand alone garment or as an undershirt with our leather jerkin. A gambeson worthy of the outlaw that wore it. 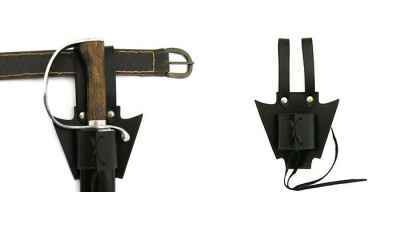 This sword frog is hand crafted in a tough, full grain leather. 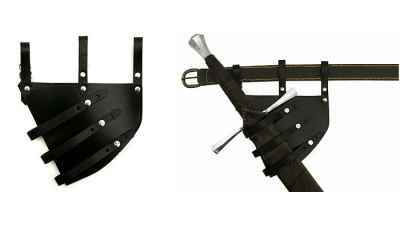 This dagger frog is hand crafted from a durable, full grain leather replete and secured together with nickel plated, metal studs.